Hilton Garden Inn New Orleans Convention Center has completed a renovation of its 286-room hotel. The hotel has been completely transformed, from guestrooms and suites to its public space. This modern rendition of traditional New Orleans charm looks to the city’s past to inform an inspiring future, according to the hotel. The property is owned by RLJ Lodging Trust and managed by Interstate Hotels & Resorts. 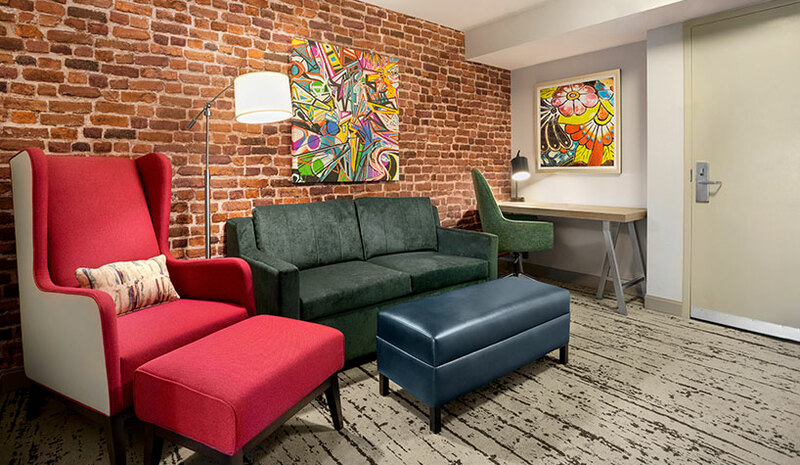 Located one block from the Ernest N. Morial Convention Center in the Arts and Warehouse District, the hotel is designed to meet both business and leisure travel needs. The hotel includes food and beverage options, a rooftop pool and more than 5,000 sq. ft. of function space. Holiday Inn at Houston International Airport has begun a multimillion-dollar renovation. The hotel is close to George Bush Intercontinental Airport. Nearly every inch of the 414-room hotel will be renovated, refreshed or redesigned, including the guestrooms, fitness facilities and center, pool deck and food and beverage options. The hotel also has seven meeting and event rooms that total more than 8,000 sq. ft.
Amicalola Falls State Park & Lodge recently completed outdoor renovations, expanding the lookout veranda at the main lodge in Dawsonville, GA. The addition to the property has 4,600 sq. ft. and blends into the rustic yet modern design of Amicalola Falls Lodge. New features include a fire pit, seating areas and a covered reception area, all complemented by natural stone exteriors. The space can host events for up to 130 people. Most recently, Amicalola Falls State Park & Lodge renovated the Maple Restaurant. The mountaintop retreat has a 57-room main lodge, 14 cabins and 25 campsites. Popular attractions include the 729-ft. Amicalola Falls, the tallest waterfall east of the Mississippi River, and beginner to expert-level hiking trails, including the eight-mile approach trail leading to Springer Mountain, the southern end of the 2,150-mile Appalachian Trail.